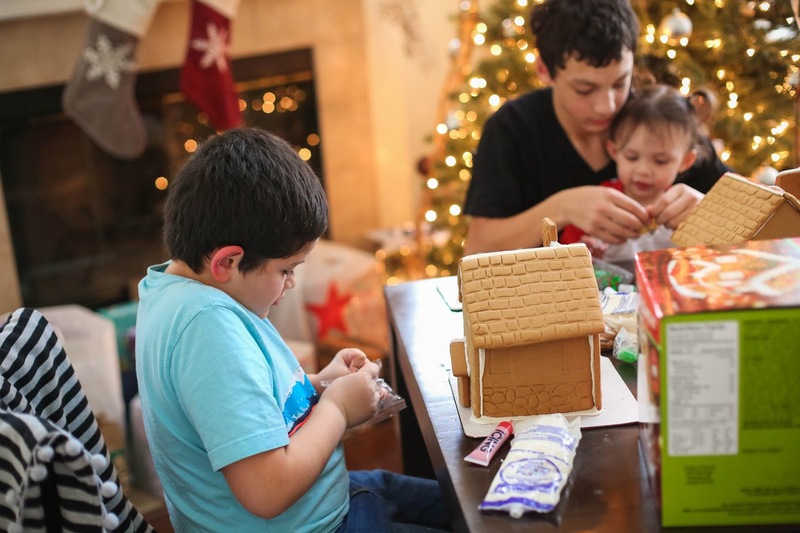 Every year we take some time out to make a gingerbread house and this year we finally got around to doing it over this last weekend. We’re a little late this year but better late than never! This was the first year I bought two, one for Anthony and one for Isabella. 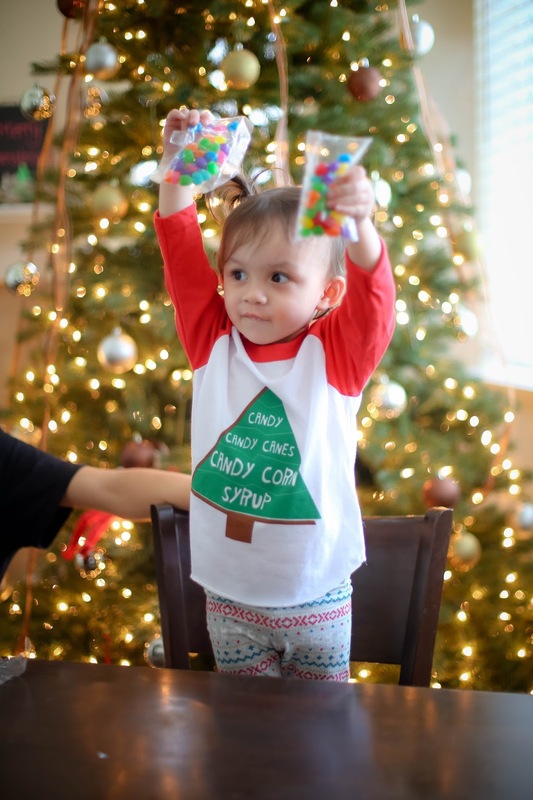 Isabella had no clue what was going on but as soon as she saw the packs of colorful candy she was immediately intrigued. 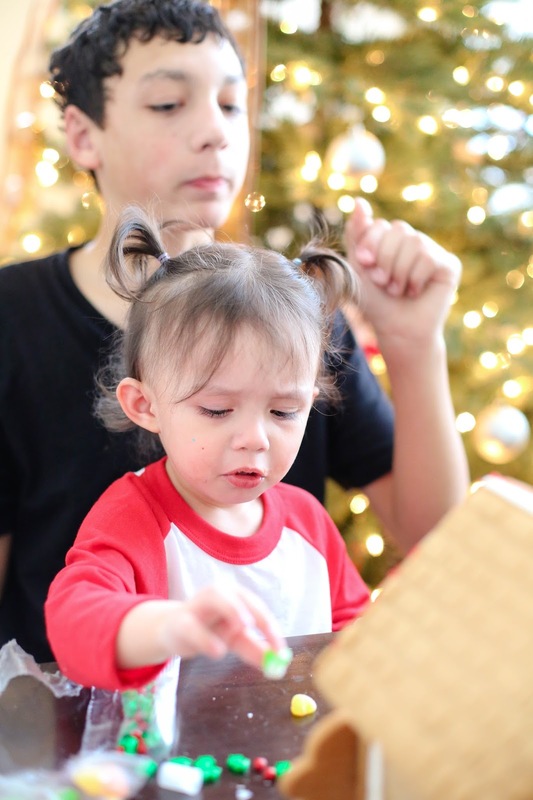 Luckily she didn’t actually realize it was candy and instead of wanting to eat it like most kids, she wanted to play with it. 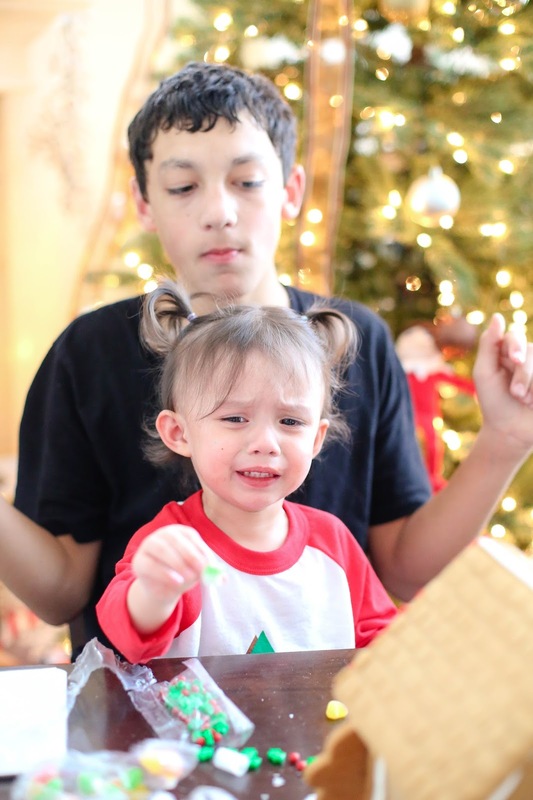 She actually got mad when we tried to apply icing to the candy and stick it on to the gingerbread house! 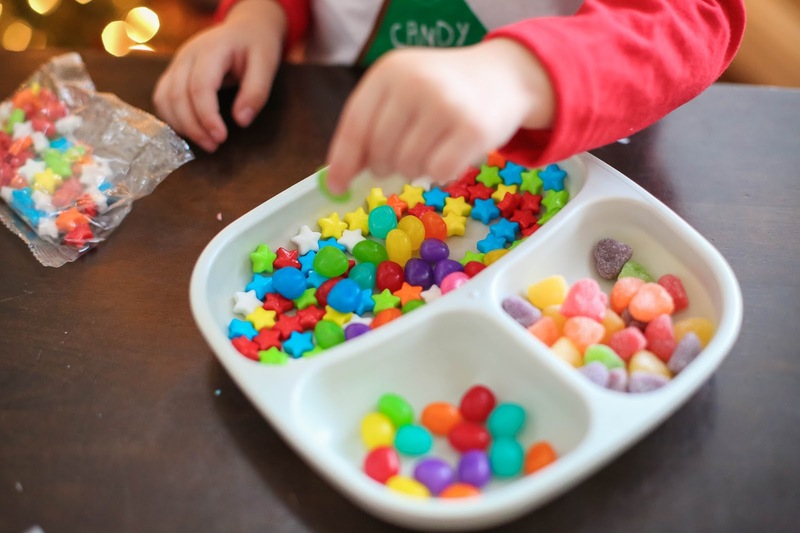 We quickly realized that Isabella wasn’t quite ready to participate and that she was happy just to have the candy to play with and sort in her dinner plate. 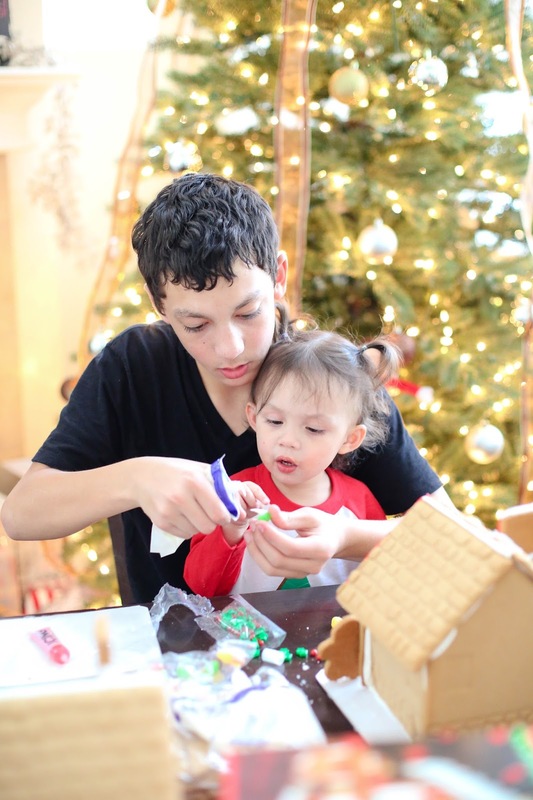 Anthony ended up finishing off the gingerbread houses with the help of my little brother who happened to be visiting us that day. Both assembled their gingerbread houses while consuming WAY too much candy and frosting. Luckily our kits were pre-built (I didn’t realize that when I bought them) and did not require a whole lot of work other than decorating. I think this is definitely the way to go when you have toddler or impatient kids. 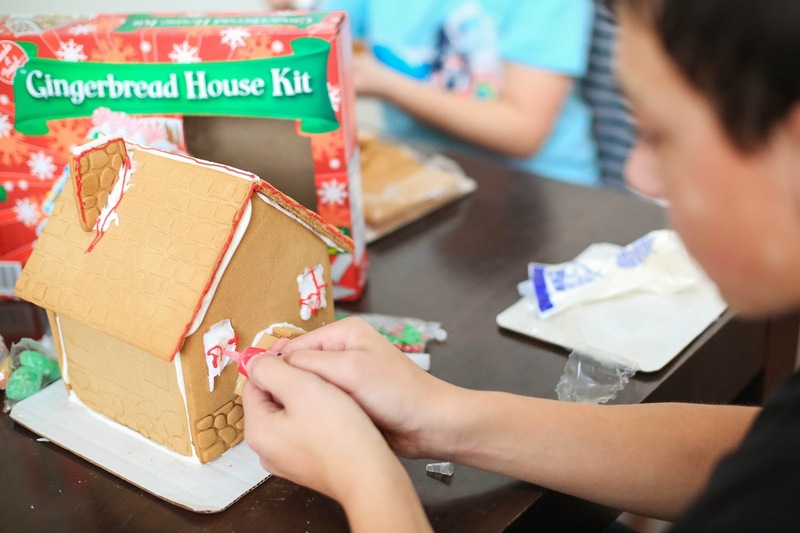 I’d love to hear about any secrets you have as far as building a successful gingerbread house! Do you prefer to build your own?